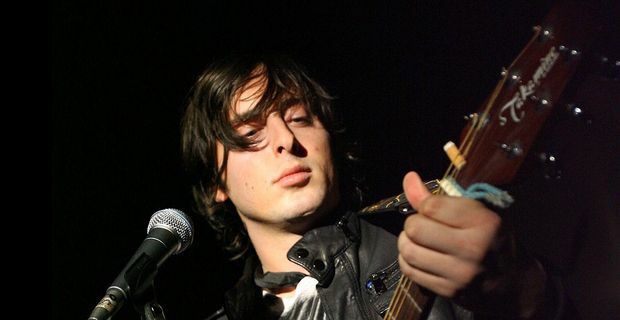 Former Libertines guitarist Carl Barat was a little surprised to be told it was ten years since the release of the band’s debut album Up The Bracket. "I thought it was five at a push," he told NME. He has mixed emotions looking back at the first record. "It's like a time capsule, bristling," he said about the songs he wrote with Pete Doherty. "I feel beatific joy twinned with deep sorrow, which was what wrote the songs back then." The history of The Libertines was messy and troubled, but that first record had seemed to hold plenty of promise. "There's definitely some pride there," Barat said. "It makes me happy and sad in equal measure. I couldn't even list the original tracklisting. I've got a lot of memories of it though." The band’s initial promise faltered because of Doherty’s drugs problems and the personality clashes between the two writers. Earlier this year, Doherty said The Libertines had, "a future where we get together and make really good music. We've never not been a band. I really feel like it's easier being in his company now than it was in our heyday." Barat and Doherty have reportedly been working on new songs, and Doherty has made it clear that The Libertines still have unfinished business. Whether it can ever match the energy and spirit of their debut must be doubtful though. The NME compiled a tribute album featuring cover versions of the original songs, performed by artists including Tim Burgess, Spector, Mystery Jets, Tribes and Howler.